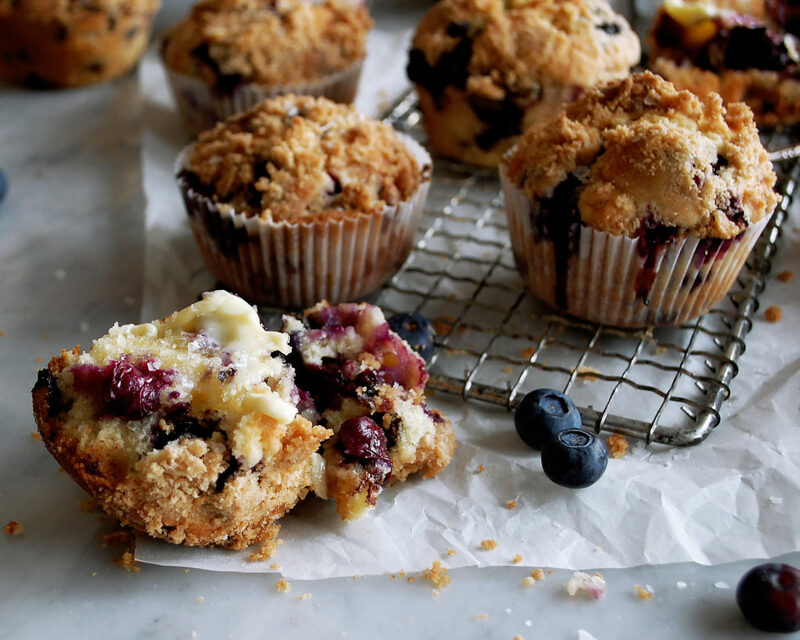 Chocolate Chip Blueberry Cream Streusel Muffins…these are addicting and so incredible. 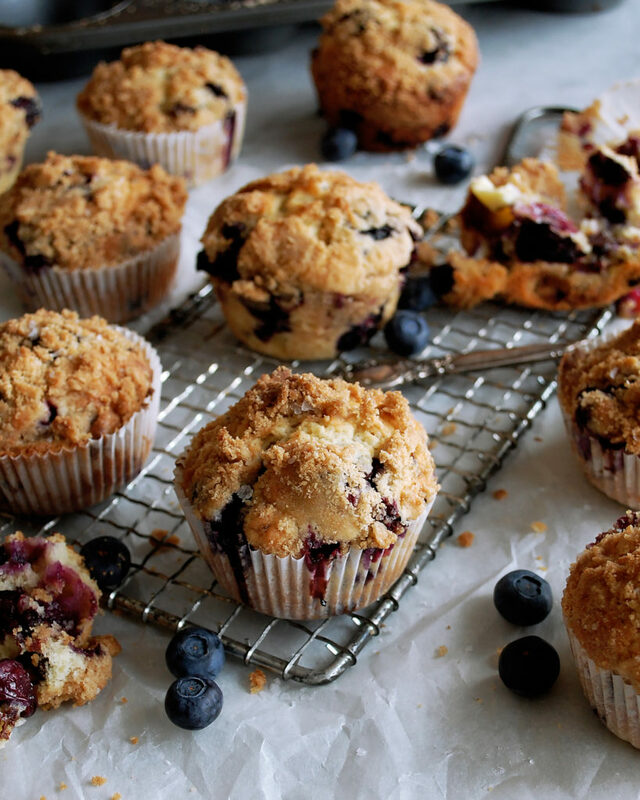 I’m not sure why but I was just craving muffins. But not just any muffins. 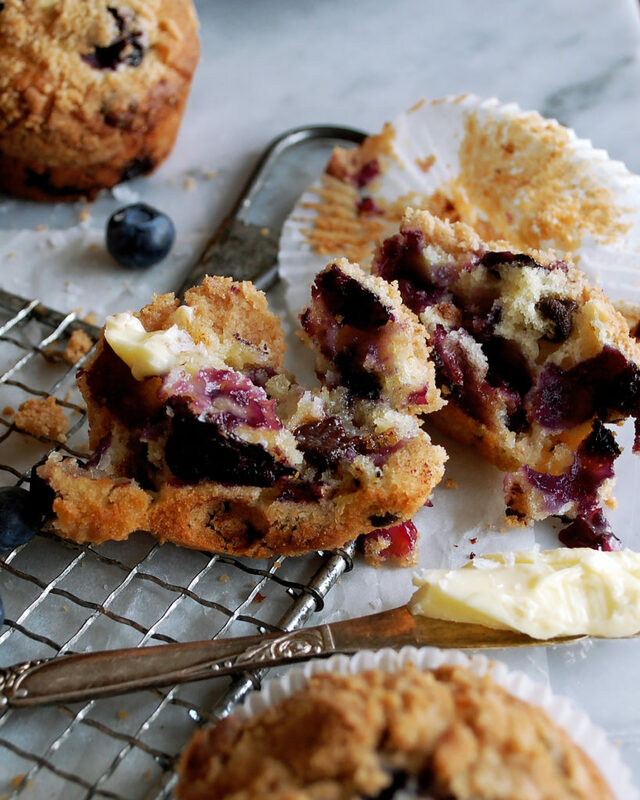 I wanted them to be soft, melt in your mouth, crumbly muffins. That when eaten warm and slathered with salted butter they are just the best things in the world. Plus, I made them blueberry AND chocolate chip because I think the combination is perfect. A little sweet and rich from the chocolate, with that subtle fruity blueberry flavor. And the streusel on top? Well, I could eat streusel on just about anything, but it really just sets these apart. You’ll want to make the streusel first so it’s ready to go. It takes about 2 minutes to mix together so no worry there. Then mix the batter, fold in the blueberries and chocolate chips, and fill the muffin tin. 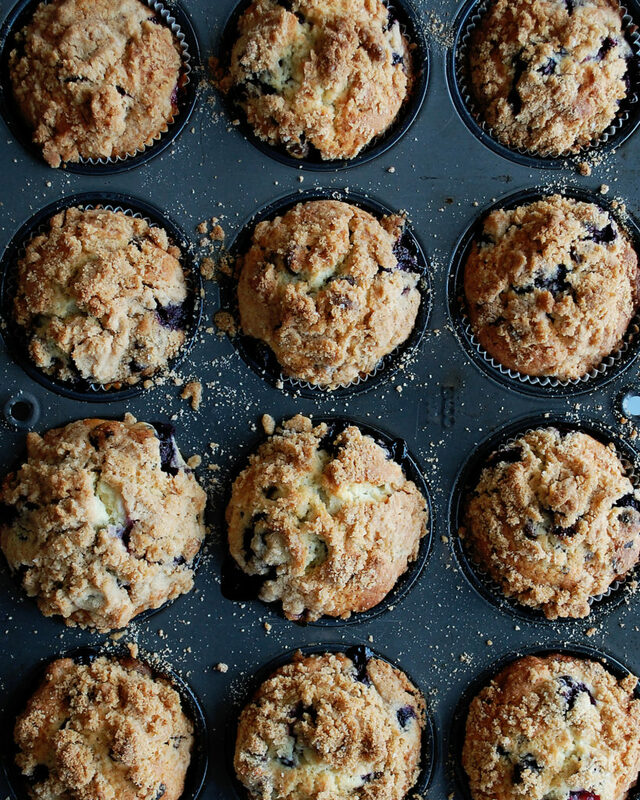 Top with the streusel, bake, eat warm with butter, and DONE. In a mixing bowl, combine the brown sugar, flour, butter, ground cinnamon, and salt. Use your hands to crumble the mixture together, until it resembles crumbs. Preheat the oven to 375F. Combine the butter and sugar in the bowl of a stand mixer. Using a paddle attachment, cream the mixture until it’s smooth and fluffy. Mix in the eggs one at a time. Add the vanilla extract and mix until incorporated. In a separate mixing bowl, whisk the flour, salt, and baking powder together. Alternate adding the dry ingredients and the heavy cream to the mixer, in 3 batches each. Scrape down the sides of the bowl as needed. 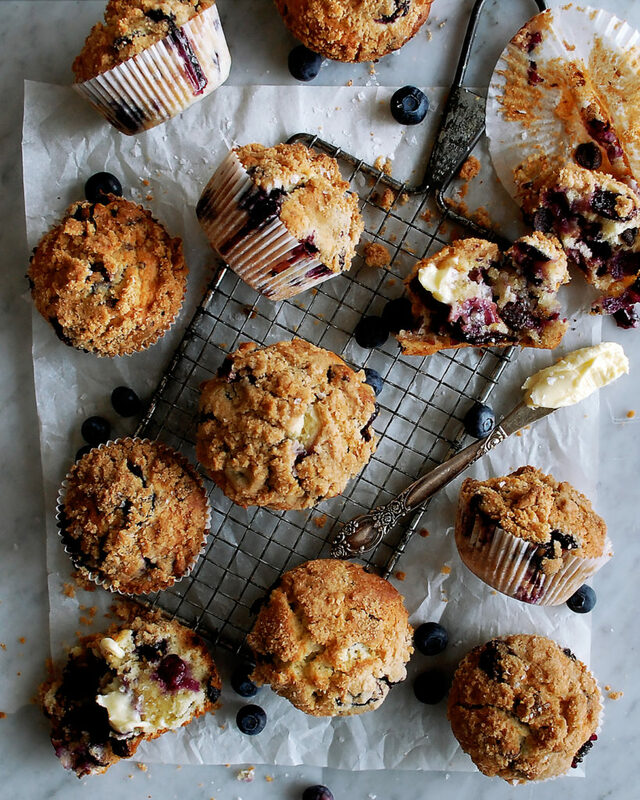 Once everything is fully incorporated, fold in the blueberries and chocolate chips. Line 2 muffin tins with muffin liners (this recipe will make about 15 muffins). Scoop the batter into each cup, evenly distributing the batter. Sprinkle the streusel on top of the batter. 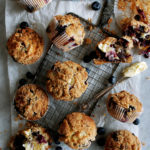 Bake the muffins for 30-35 minutes until cooked through. Serve warm with a slather of butter and a pinch of flaky sea salt.